Did we do it? 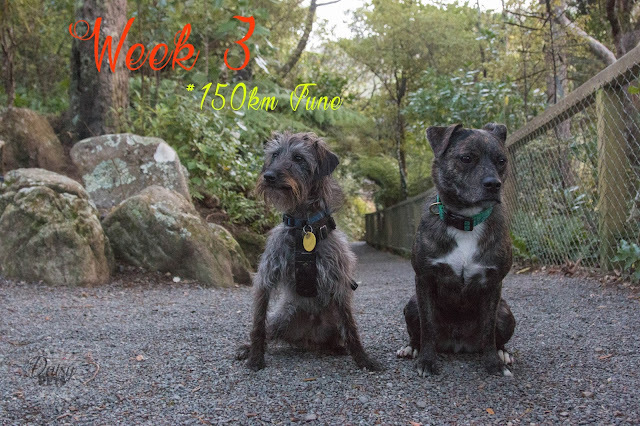 If you have no idea what 150km June is, I suggest you read our Original Post, Week 1, Week 2 and Week 3 updates then come back to find out if we made it! This week we have had some technical problems when measuring our walks, but I promise that I didn't exaggerate any of the walks. My phone was having some troubles tracking the route, and therefore the kilometres that we walked on a few of the walks so I went to my trusty friend Google and worked it out from there! Last week we finished on a total of 106.91 kilometres meaning we would have to conquer 43.18kms in seven days. 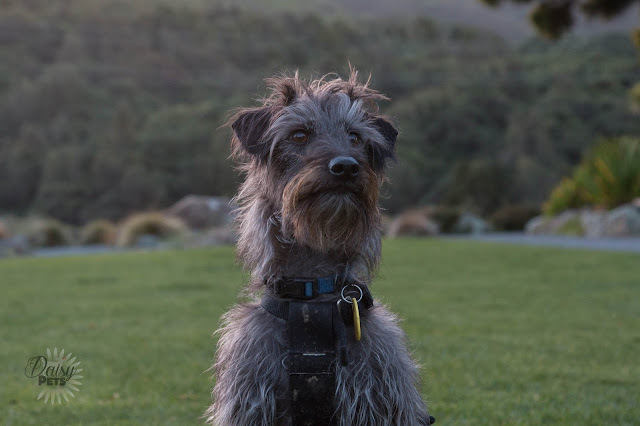 We had a crazy, full on weekend in Wellington to celebrate Diego's second birthday which was on the Saturday. Overall, it was a great weekend and we managed to catch up with some of Diego's doggy friends, and also see his brother, Jagger. I was also checking out a potential flat in Wellington for Diego and I to move into. Unfortunately, the flat situation didn't work out. The lady had described her partners dog as a 'biter when she gets excited', but it was more just a savage dog. We met at a park and from the get go, this other dog was aggressive. She was wearing a muzzle, but without this I honestly believe she would have ripped Diego to shreds. Diego did meet the other dogs at the flat, and played with one of the other dogs for ages while the flat owner and I had a discussion. 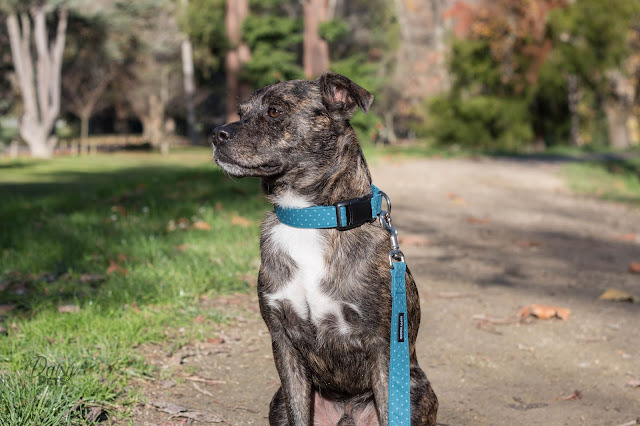 Unfortunately, the experience with the more aggressive dog did slightly ruin our weekend as it put Diego on full scared mode whenever he met a larger dog. Hey! This last week has definitely been the best of the month, in terms of length of walks, as well as locations. We had an amazing weekend in Wellington, which will have it's very own blog post coming up in the next few days. 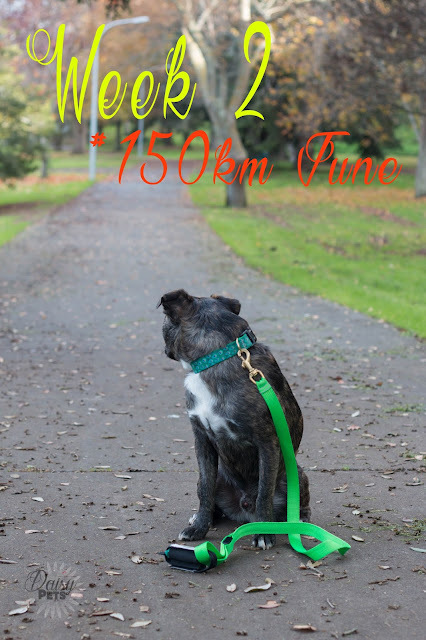 If you are new to my blog, this month Diego and I are challenging ourselves to walk 150 kilometres over the course of the month. This is a fairly good challenge, as it is well into Winter here in New Zealand meaning a lot of our walks are scheduled between rain, or even during rain. Check out the Original 15km June Challenge post, as well as our Week 1 and Week 2 updates for more information. For Diego's birthday this year I decided to make him a birthday cake, to not only enjoy himself but share with some of his doggy mates. 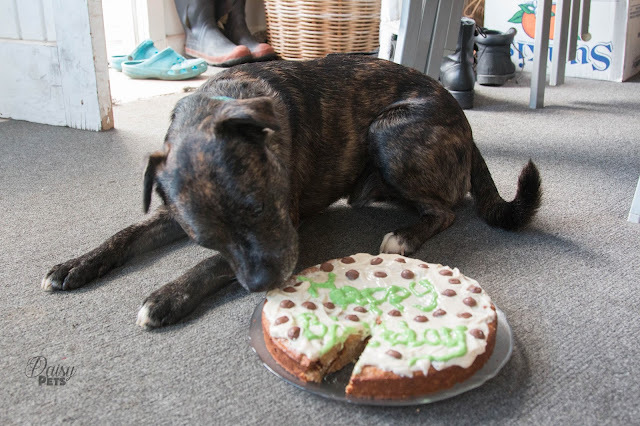 Years and years ago I had made Daisy a birthday cake out of liver and I remember what a mess that cake was. The dogs liked it, but it left the house reeking of cooked liver, and the blender took a couple of washes to get the scent out of it. After remembering that, I made sure that this years cake didn't involve any smelly meat elements. I googled for a recipe and found this fantastic recipe from Baked by Joanna for a Banana Carob Oat Cake. I decided to give this recipe a go, and in typical Morgan style, completely butchered Joanna's recipe by not following it 100%. Some things just never change. Another week has flown by for June, and Diego and I have stomped many pavements within that month. 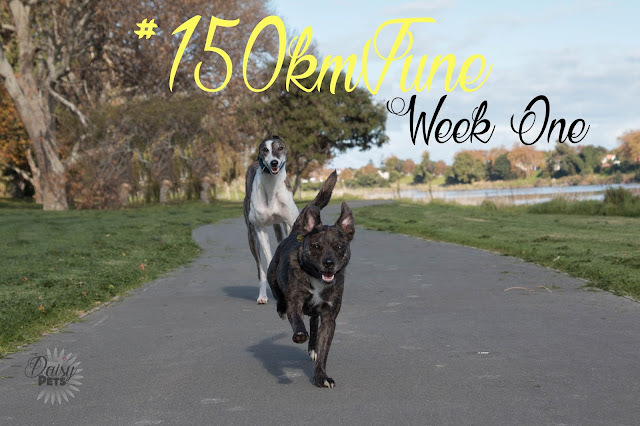 If you are not sure what this post is about, I suggest you read the 150km June Challenge and the Week 1 posts to get a better understanding of what we are undertaking. This week has been very successful on some days, and a complete failure on other days. This week was also fairly raining, and Diego and I had to dodge those bad periods and make the most of the small bouts of sunshine we got. Nothing worse than walking outside in the rain without wet weather gear! On June 18th Diego turns two, and in our household we like to do a 'Birthday Week' which means that the birthday is not just allocated to one day, you get a whole week of celebrations. Sometimes more. My sister really loves to turn it into 'Birthday Month'. 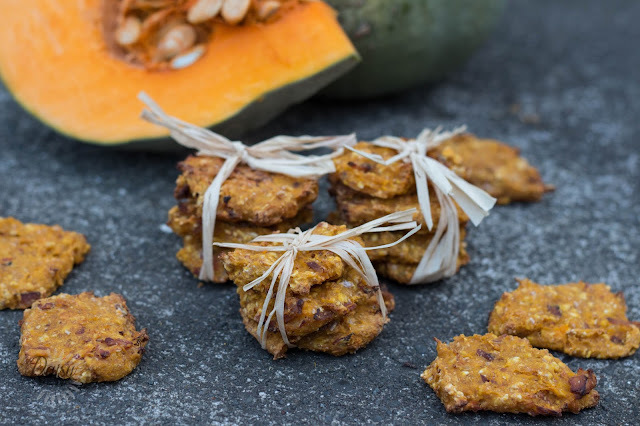 For the first part of Diego's Birthday Week, I made some Pumpkin and Bacon dog treats. Pumpkins are super cheap at the moment in New Zealand, I purchased a whole pumpkin for $1.50. The rest of the ingredients were easily found in your pantry, or inexpensive to purchase. When I first thought of this challenge, it was going to be 100kms for the month. I then thought that would be way too easy, and not actually a challenge, so upped it to 150kms. That would make it 5kms a day, and because I never used to track how long my walks were, I thought that was standard. Let's just say, that so far, it has been quite a challenge. If you have no idea what I am talking about, check out my first post in regards to #150kmJune. 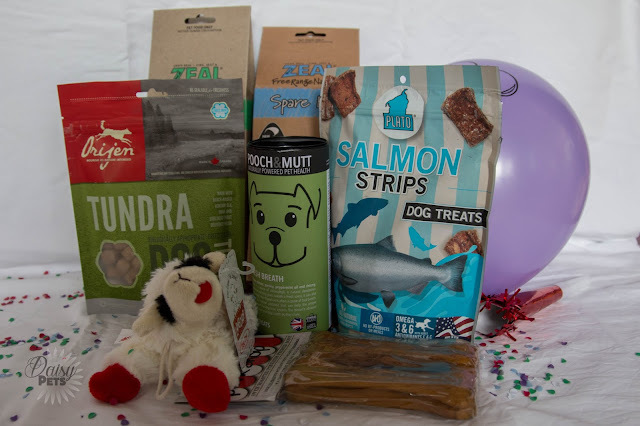 When mum adopted Chico, she was given some recommendations on what to feed him and also a list of what he was currently consuming. On both lists were chicken carcasses. Before this, I had been feeding Diego some meaty, larger bones and Daisy had consumed bones frequently during her life. 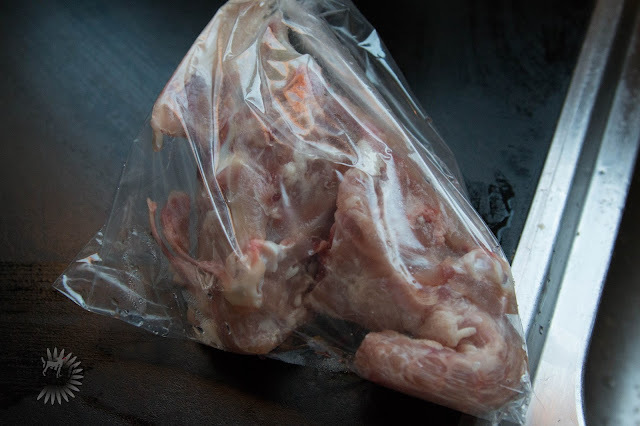 Never had we given chicken carcasses. Mum wanting to be a great Greyhound owner, went and purchased some and saw how happy they made Chico. He would devour them in seconds and therefore she has been feeding him at least two a week for the past six months. Now that we live with my mother and Chico, we started giving Diego a chicken carcass whenever Chico got one. Diego at first was a bit hesitant, and licked the carcass more than chewing it. However, over time he has now come to love carcass days, and scurries quickly away with his carcass to demolish it.